Rapid prototyping for potential first phase of film studio proposed in Chuncheon, South Korea, involving the repurposing of a former U.S. military base. 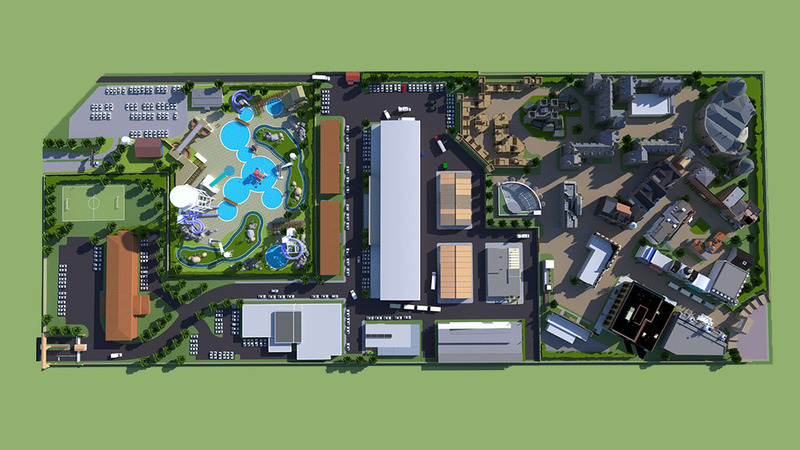 Conceptual design and 3D visualizations for a planned film studio, digital creative hub, and attractions facility, in a resort community just outside of metropolitan Seoul, South Korea. The project is a re-purposing of existing facilities along with new construction, on a former military base.